The most visited museum in Latvia, which tell the story of events that have occurred during the last 1000 years. Most of visitors consider Turaida brick castle as main dominance of Museum Reserve and its visually most impressive element. 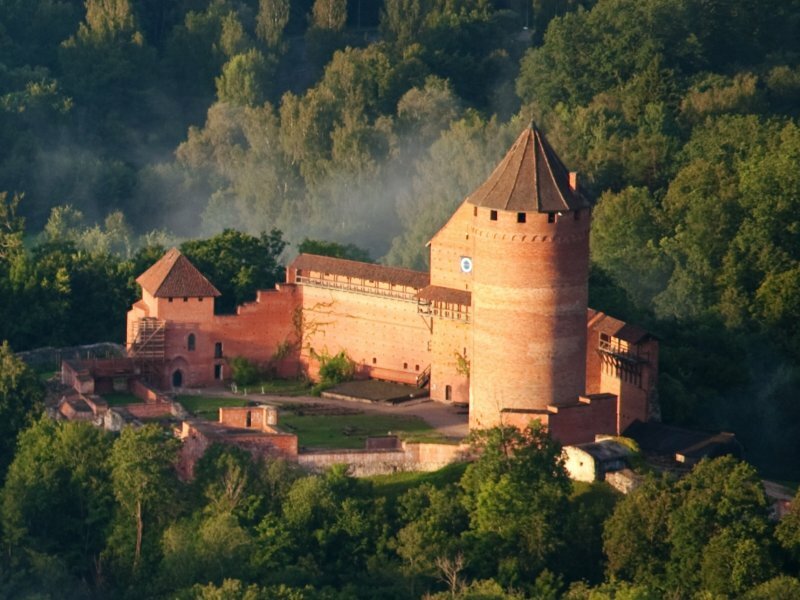 When looking down from hot air baloon or in autumn eventide in the sunset beams from the oposit bank of the river Gauja in Sigulda, Turaida castle rises above green foliage of trees like mighty ship built of red brick. Forepart of this imaginative ship is formed by northen forecastle gate tower, main tower, which is the highest one. It is like a spar in the middle of the ship but back of the ship is southern forecastle with towershaped southern section. Building of the castle was started in 1214 according to directions given by Albert, archibishop of Riga in the place where in former times was located wooden castle of Liv leader Kaupo. “Castellum” type fortress was built and named Fredeland in translation it means “Land of Peace”. This name was not popular and but the local name Turaida survived till nowaday. Perfection of defensive system of the castle continued also in the next centuries – in 14th century was built towershaped southern section, in the beginning of 15th century when fire arms were invented was built semirounded western tower. Along with formation of fortifications household buildings and living houses were erected in the inner yard of the castle. Small reconstruction work was carried out in 17th century though castle started to loose its strategical meaning. After fire in 1776 it was not reconstructed and in the course of time it was ruined. In the beginning of 20th century from Turaida castle there were left over separate fragments of defensive wall and some buildings – main tower, semirounded tower and western section. Since 1976 regular archeological escavations were carried out which were followed by restauration and conservation works as a result castle regained a part of its initial shape. 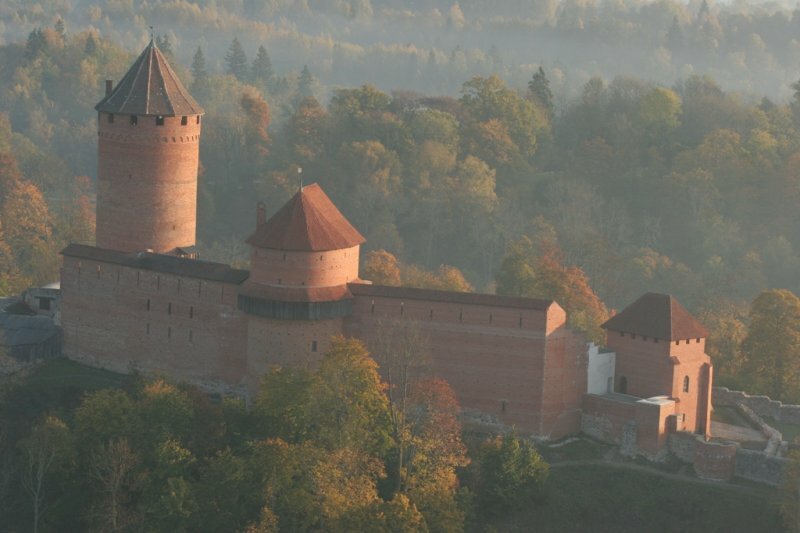 Exhibitions about history of brick castle and Gauja Livs are available in restaured buildings. From the view place of the main tower you can see the unique landscape of picturesque Gauja valley and territory of Turaida Museum Reserve.